Miss World Philippines Candidate Number 20, Kaye Michelle Duran Agnes, was born and raised in Sorsogon. 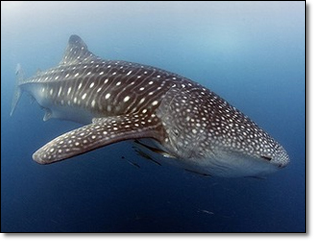 Sorsogon is world famous for its Butanding. Sorsogon is a province in the Philippines located in the Bicol Region. Sorsogon is located in the southernmost province in Luzon and is subdivided into fourteen (14) towns and one (1) city. 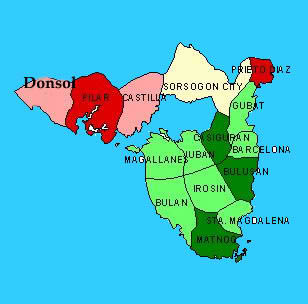 Its capital is Sorsogon City and borders the province of Albay to the north. 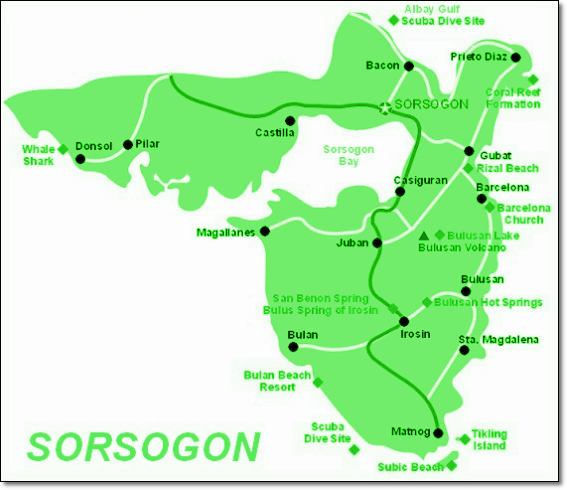 Sorsogon is at the tip of the Bicol Peninsula and faces the island of Samar to the southeast across the San Bernardino Strait and Ticao Island to the southwest. "Sorsogueños" is how the people of Sorsogon call themselves. One of the festivals in Sorsogon City is Pili Festival which honors the Pili nut and tree which is indigenous to the province. The festival coincides with the town fiesta of Sorsogon City. Celebrations include street dancing by locals donning pili nut costumes, cooking competitions, fireworks displays, and even a nutcracking session along the road by the locals. Mae Liezel Ramos was then a young 20-year old when she represented Region 5 Camarines Sur, Bicol, in Miss World Philippines 2011,who like Kaye Michelle Duran Agnes stands 5’7” tall. Miss Universe 2010 4th runner up, Venus Raj is also from Bicol. YVETTE Marie Santiago, a 17-year-old BS Accountancy student of Bicol University, represented the Philippines to the World Miss University 2010 held in Seoul, South Korea last August 8, 2010.